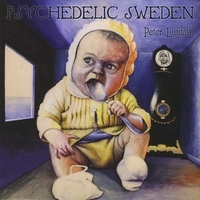 Peter Lindahl is a well known Swede in the psychedelic underground scene. Being a multiinstrumentalist and performed with the likes of IN THE LABYRINTH, a painter and true dedicated hippie of the old school. For the first time, Transubstans gathers his 70's recordings into a unique compilation from the time when bands like TYRANNOSAURUS REX, PUGH ROGEFELDT and PINK FLOYD were the main influences. A 16 tracker of how psyched out a Swede could be in the early 70's, armed with a guitar, and odd aditional instruments. This is for friends of JOAKIM SKOGSBERG, PUGH ROGEFELDT, GARY HIGGINS, MEIC STEVENS, ROY HARPER etc etc. And as usual, we provide a fully detailed story about what was then, and what is now.